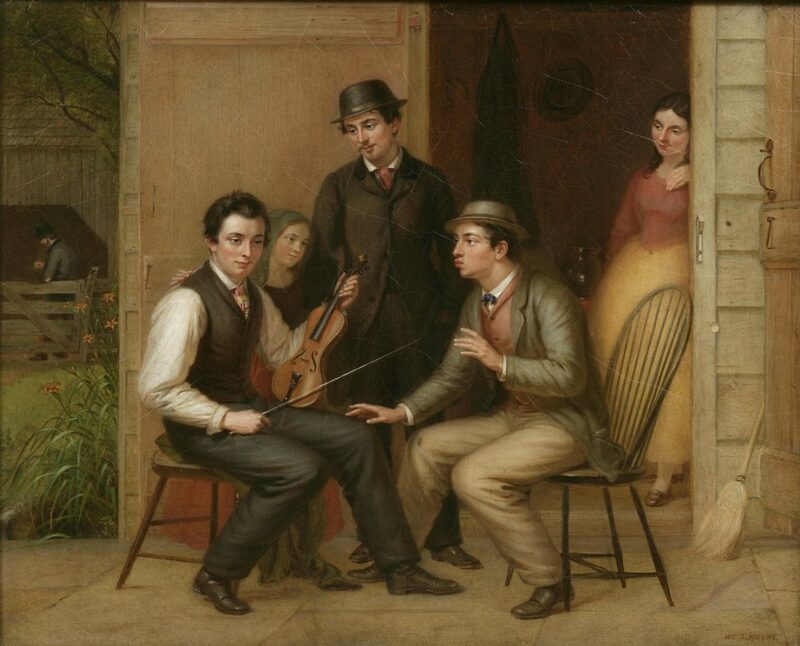 William Sidney Mount’s paintings offer a vivid window on the people and places surrounding his Long Island home in the mid-nineteenth century. During his forty years of painting, he depicted people at work, play, rest, or posed in their best clothes for an individual portrait. Most of what Mount captured on canvas with his brushes and paints is gone; only a handful of the exact objects he used for reference survive, and Long Island’s rural culture and environment changed drastically in the century following his death in 1868. What survives in Mount’s paintings is his interpretation of the people, places, and things around him. The majority of Mount’s paintings were commissioned portraits, and four are included in this exhibition. Biographical details of these portrait subjects shed light on the circle of family, friends, and patrons who cherished Mount’s work. And contemporary photographs of buildings and landscapes that Mount painted allow the visitor to see how such sites have changed over time. Pairing paintings with objects also offers a glimpse at how artists such as Mount make choices when interpreting the sights around them. Mount combined first-hand observation with imagination to create art that was at once both technically accurate and also pleasing to the eye.